Max Clendinning’s carpet revolution. Furniture and lamp, from Christopher Strangeways’s shop, Kings Road — Jon Wealleans, Charles Dillon good design here too. 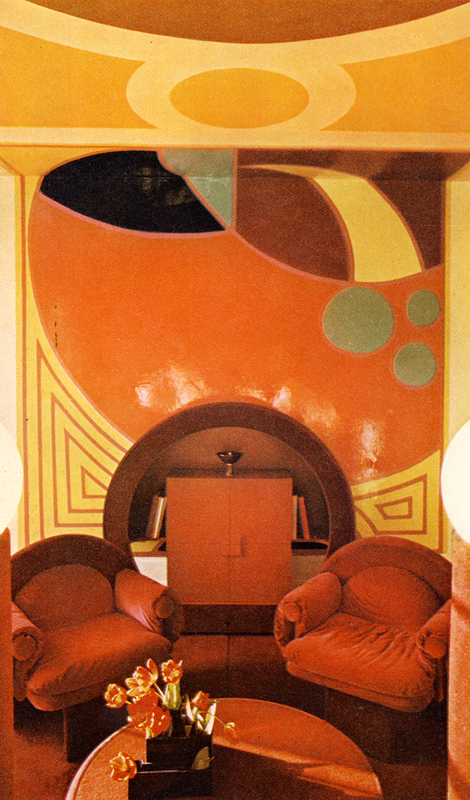 Max Clendinning, designer, has burnt his polystyrene sausage seating, is changing his totally white low-lying living-room into burnished gold and has changed his primary yellow studio into this new Indian red and richly carpeted affair. He has rediscovered tables, chairs and comfort, covering chairs in deep pile with velvet and lacquer paint, making unit, table, lamp and unifying it all with a mural. Originally inspired by the Islamic carpets at the Hayward, it changed course into something far more freewheeling. 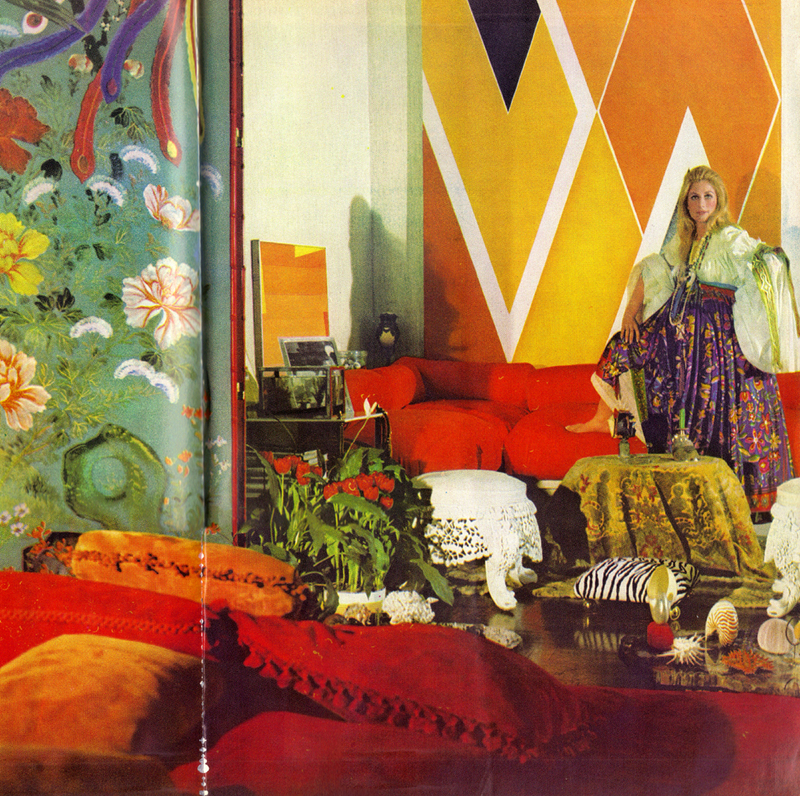 The living room with Jane Holzer in gipsy dress with ribbon-swagged sleeves and wildly flowered skirt by Sant’Angelo; an 18th-century Chinese screen, thirteen foot high and covered with precious bird and flower paper; white iron lace stools first ordered by Queen Victoria from her Indian Empire; Larry Zox’s vast 1968 abstract; a low table of polished petrified wood with a collection of coral and sea creatures shells, and, in front, Mrs Holzer’s own design for the sofa, several suede pillows thrown accurately at random.